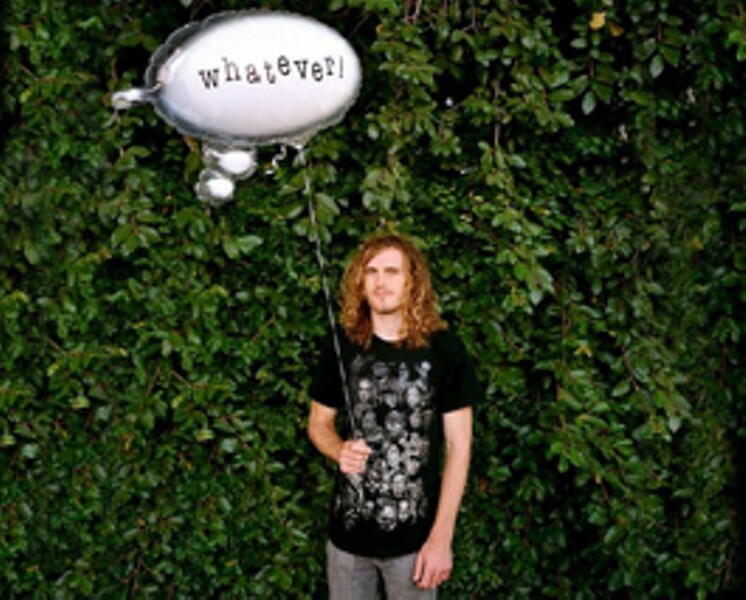 Zach Hill isn't one to fall back on career moves out of the rock 'n' roll handbook. After all, he's from Nevada City. He plays broken cymbals on purpose. He wraps his face in Play-Doh and swallows frogs. But with his main band, Hella, in "a real gray area right now," the intensely skilled drummer has done the unthinkable: made a solo album. But don't expect to file it in the pile of self-absorbed solo-album waste next to Mick Jagger or Scott Stapp. Astrological Straits, which boasts 12 guest musicians, from Les Claypool to No Age, is a dream culmination of Hill's unlikely musical journey thus far, one that's seen him backing Mike Patton, Joanna Newsom and members of Sun Ra's Arkestra. The main realm in which Hill resists clichés, of course, is his music, a coherence of melody and spazz, reigned over with electronic clangs, white noise and vocal manipulations. In many ways, he's the Frank Zappa of the laptop generation, applying ideologies from avant-garde jazz to the current noise-rock underground; in fact, Astrological Straits' bonus disc boasts a 33-minute piano-drum excursion with Brooklyn's Marco Benevento and narrator Marnie Stern. How he'll perform all of this live is anyone's guess, which fits his unpredictable aesthetic rather well. Opening the show is Goodriddler, aka 22-year-old Nick Wolch, who rides a similar individualist streak; his most recent songs, for example, were recorded inside the dark, algae-strewn concrete creek tunnels beneath downtown Santa Rosa. In a post&–Kid A world, Goodriddler's piano-drums-and-software music is ambient sound of the best variety, simultaneously soothing and challenging. Like Hill, he's a solo act, with bonus points: no one smokes a hand-rolled cigarette while playing drums with such loose, detached style. Also on the bill is the Iditarod, whose synthesizer flourishes and trumpet blasts herald the dawning of a new instrumental victory, and the Highlands, a group of young experimentalists who unreel their genre-traipsing songs with both the untamed abandon of Captain Beefheart and the intellectual curiosity of Can. Factor in that there's a band called What's Up playing and that it's taking place in the lounge of a hotel, and you've got a show that defies comparison even before it's started. Zach Hill, What's Up, the Iditarod, Goodriddler and the Highlands perform Sunday, Oct. 26, at the Casbar of the Days Inn, 3345 Santa Rosa Ave., Santa Rosa. 8pm. $7; 18 and over. 707.568.1011.